In Division A the 1st XI restricted Wollaton to 181 all out from their full 50 overs with tight bowling from all involved and some good fielding. There were three wickets apiece for Ben Bhabra, Ryan Swiers and Arjun Sandhu. The reply was going well at 41 for 0 and 87 for 1 with Chris Allcoat 41 and Byron Haycock 31 looking relatively comfortable, but then to say the wheels came off would be a massive understatement. 9 wickets fell for just 22 runs. With leaders Collingham only claiming a losing draw the gap to second grew only slightly. There is a top of the table game at The Strand next week that should be a real test of character. The 2nd XI continue to march on with another convincing win over Calverton in Division B. After losing an early wicket youngsters Peter Bhabra and Albert Gardiner put together a century stand with Peter going on to 105, his first hundred, and Albert finishing with 65. Ash De-Alwis chipped in with 47 in a total of 234 for 6. Peter Bateman starred with the ball taking 3 for 23 from 10 overs whilst Charlie Simkiss and Sam Clulow each claimed a couple of wickets. With Calverton 9 wickets down and just one ball to bowl, a wicket was required to claim the win rather than a winning draw. 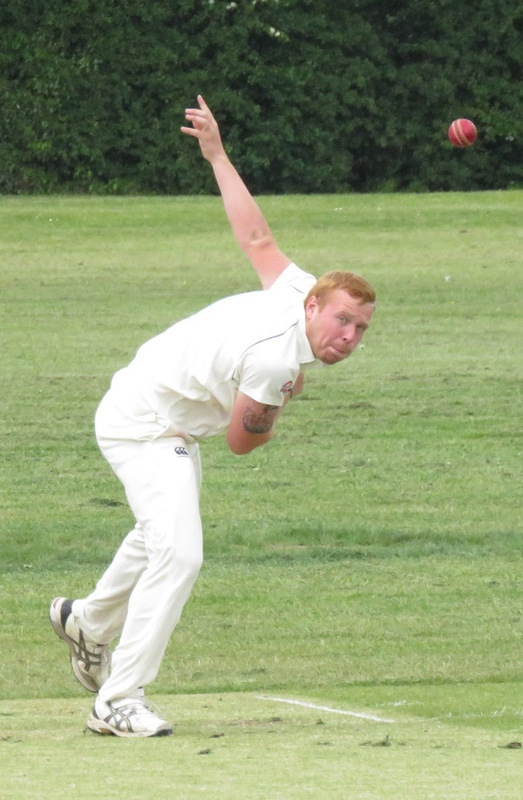 It was duly delivered with skipper Martin Shoemaker diving full length to claim a catch behind off Charlie Simkiss. down Gedling Colliery's modest 119 all out. Callum Turney claimed 3 for 15 from 11 overs and a returning Dom Terkowski 3 for 28. Wickets fell regularly in reply as both Sam Randall and Dom Terkowski managed 26 apiece but the final wicket fell just 14 runs short. There was a good win for the 4ths at Chilwell. Batting first Gordon Airey with 46 and David Harris with 30 established a solid base but the star was 12 year old Seth Puddy with 33 runs. Chilwell then struggled to 99 all out with Joe Gibson claiming 3 wickets. A very well earned 20 points.